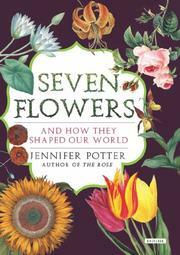 Going back to evidence of roses more than 35 million years ago, the author traces the beginnings and great influences of that iconic flower, as well as the lotus, lily, opium poppy, sunflower, tulip and orchid. While English gardeners will benefit more from the author’s deep discussion of various species, most other readers will enjoy the luscious botanical descriptions. The earliest descriptions of plants predate Swedish botanist Carl Linnaeus’ 18th-century binomial nomenclature and were often misnamed. For example, the fleur-de-lis is not a lily but rather a flag iris, and water lilies aren’t really lotuses. In addition to the power of flowers to speak metaphorically, Potter explores their influence on art, literature and especially the medicinal arts. The opium poppy has 40 alkaloids, including codeine and morphine, while the lovely tulip has no use as either nourishment or medicine. Even so, tulip fever led to the financial ruin of thousands in 17th-century Holland. Globalization of different species of flowers began with Alexander the Great, whose army carried plants to their new conquests, and the Romans continued the spread. The trade routes, especially the Silk Road, transferred even more specimens, as did the plant hunters of the British Empire. The spread of the opium poppy can be laid at the feet of the British, as they fought the opium wars to be allowed to export the opium they grew in India to China. Though Potter is occasionally too thorough in her information, anyone who has ever planted a seed or loved a flower can appreciate the author’s knowledge and devotion.